Sometimes, a fresh cut and a friendly, personal service is all you need to reinvigorate your self-confidence and put the smile back on your face. At Embassy, in Newcastle-under-Lyme, our talented hair stylists do everything possible to revitalise your hair and make sure you leave our salon in a great mood. 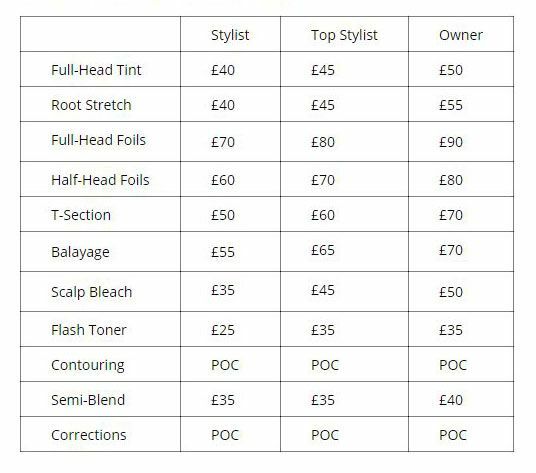 Below you will find prices for all of the hair salon services provided by our team. 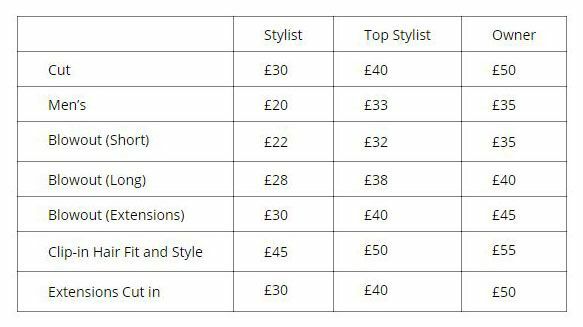 Please note that our prices are created to reflect the education and experience of our stylists. Upgrade your service with Olaplex for just £25. Please note that a skin test is required 48 hours prior to your appointment. We kindly request that you provide us with 24 hours notice should you need to cancel or change your appointment. We regret that cancellations after the required 24 hours notice period and no show clients will incur a 50% charge of the service(s). We appreciate that sometimes late cancellation is unavoidable and the management will use their discretion in certain instances. However we are sure you will appreciate that for every client who cancels late or fails to show means another client is turned away and the salon and stylist both suffer a financial loss. A reminder text will be sent out 48 hours prior to your appointment. Find out more about the hair salon services provided by our hair stylists in Newcastle-under-Lyme.